I know for sure that this is a late post; however, it’s still better to share it than never. I’ve always checked out this place somewhere in the woods [that’s what I called instead of saying countryside] in the nearby as they have such magnificent Christmas decorations. This train is totally an eye-catching with the passers in that area. I missed it 2 years ago, as I didn’t spend my Holidays in the winter wonderland. This year, I am definitely going to be stuck again in an icy weather until we have enough funds for the next international trip. The image of the Holiday Train is quite small, as I only snapped it while the car is moving. Because I am afraid that I won’t be able to take a picture, I snapped at least 3 times and finally got a much better resolution from the blurry to a very damage resolution at least there is one better picture. Anyways, amongst the wonderful Christmas outdoor decorations we’ve passed by this is the only one I am able to keep. What do you think? 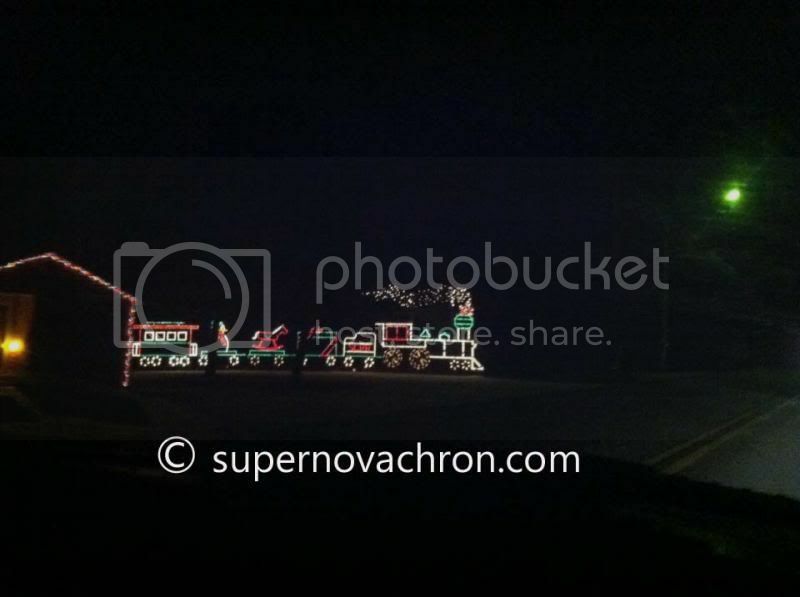 Have you seen similar Train outdoor Christmas decoration in your place? I love Christmas and all Christmas decor, specially lights! And that choo-choo would be a favorite of my boys! That is adorable. I would love to have this in my yard.. I may have to look around and see if I can find something like this! I haven't seen one somewhere here in our area. But there were reindeers and snowmen. THat's very pretty! My son would love that!